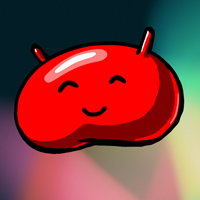 The set also includes updates to the both the GSM Galaxy Nexus (maguro), and Verizon's Galaxy Nexus (toro, which itself is ever so close to full AOSP support). Conspicuously absent from the party is Sprint's variant of the Galaxy Nexus, but there's no surprise there. 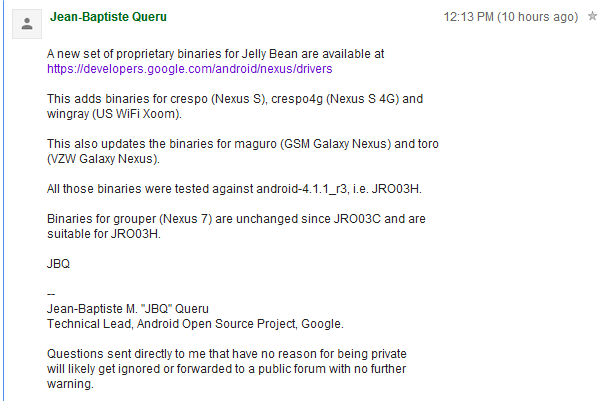 JBQ also noted that the Nexus 7 (grouper) binaries have gone unchanged since JRO03C but are "suitable for JRO03H." Despite the absence of Sprint's Galaxy Nexus, it's nice to see addition of Nexus S (4G) and Xoom binaries added, and the other Nexi kept punctually up-to-date. Those interested can see JBQ's original post or grab a fresh handful of code from the appropriate link below.